After suing for their rights, the courts ruled the state must serve Judea-Samaria firefighters a pension - like the rest of the country. The Jerusalem Regional Labor Courts, headed by Justice Daniel Goldberg, has accepted the lawsuit of 43 firefighters who serve in Judea and Samaria, who wish to receive a budgetary pension for their work. The firefighters, who started work in the 90s (all save one), worked for years in the Association of Cities for the firefighters of Judea and Samaria, and in 2013, with the establishment of the National Authority for Firefighters and Rescue Workers, transferred to work there. The workers claimed that as servicemen, their pension should reflect all their years of firefighting, and not be reduced to those they served under the new umbrella organization. The state claimed that the transfer agreement did not give the firefighters the right to claim full pension, and in addition claimed that the lawsuit was invalid, since it was filed years after the workers learned of the situation. 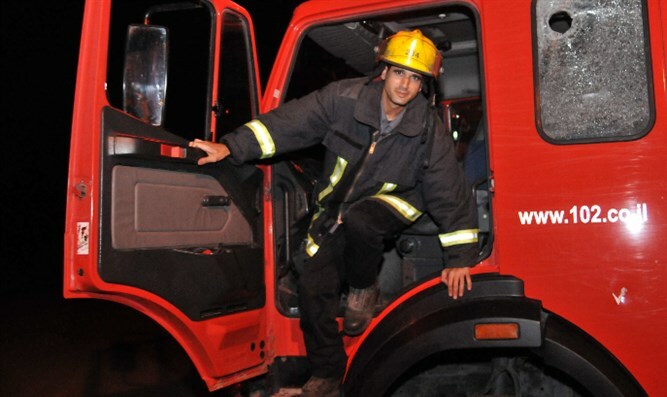 According to the court, the Beit Yazriel firefighters remained "The only firefighters which were having their rights withheld," and demanded equality from the state. The Labor Court, after analyzing the rights presented by the firefighters and managers of their insurance policies, ruled that the workers are not receiving a sufficient cumulative pension, and therefore have a right to a budgetary pension.